With the polar vortex affecting the midwest portion fo the United States, temperatures have dropped to dangerous levels. That’s why it’s important to keep your cat warm. First, keep your cat dry. Wet fur will make a cat colder so make sure your cat can stay dry and warm. Ideally, get your cat out of the cold and keep it inside, which means don’t take your cat outside unless absolutely necessary. 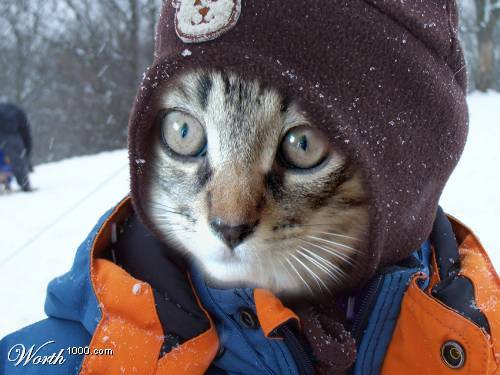 With the proper precautions, you and your cat can survive the polar vortex and its deadly cold. To learn more about keeping a pet warm in the winter, click here.